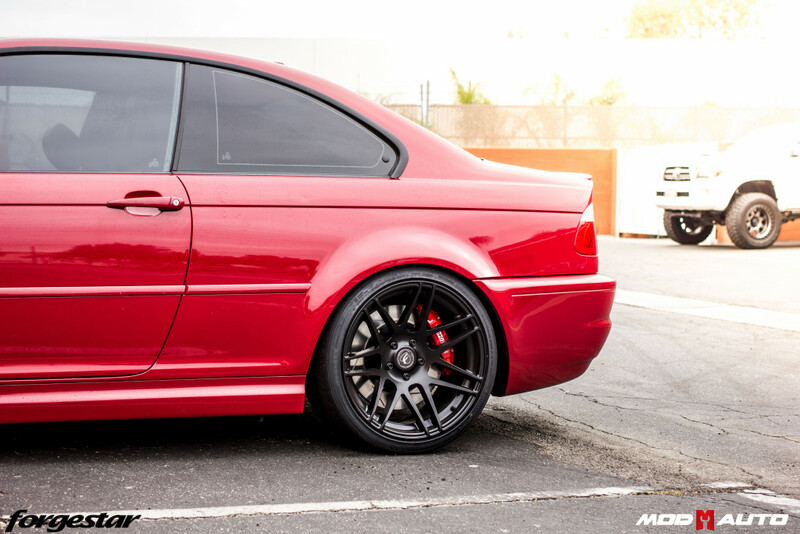 BMW E46 M3 on Forgestar F14 Semi-Gloss Black [19×8.5 | 19×10] & StopTech Big Brake Kit. 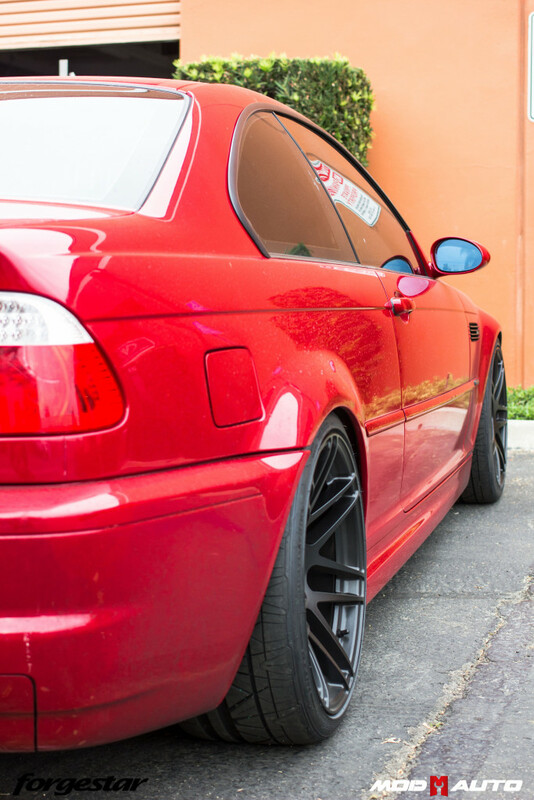 We just wrapped up a install on one very lucky BMW E46 M3 that came into the Mod Auto facility to have some tasteful upgrades done to it. 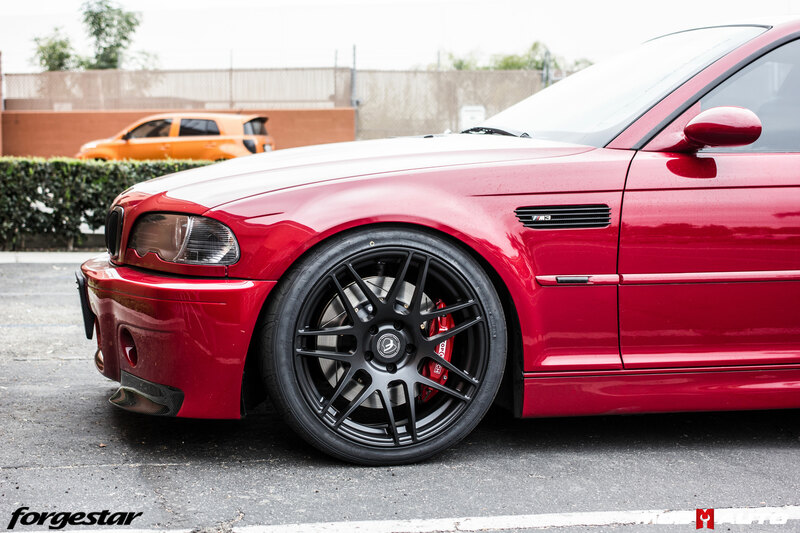 The customer wanted to look good but also handle amazing, I mean come on its a BMW M3! So we didn’t just upgrade the usual spring upgrade, the customer opted out for a KW Variant 3 coilover system to be installed and oh boy, he did not stop there! 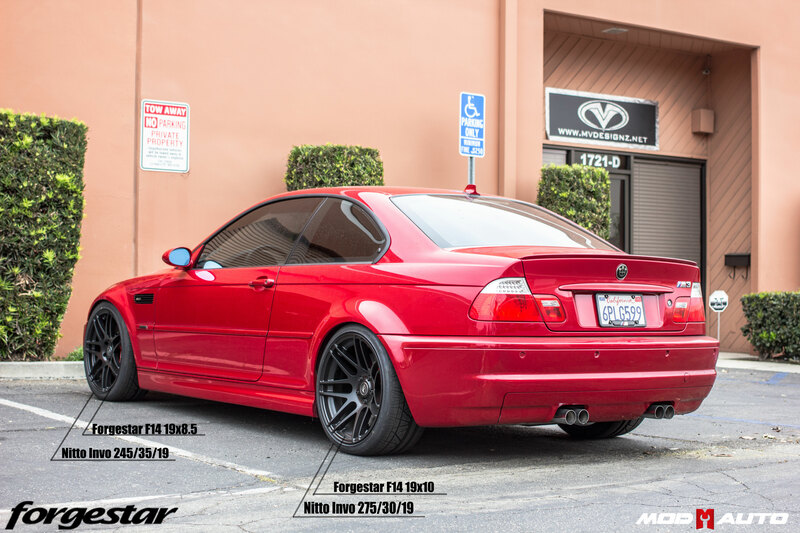 Then the stock oem wheels do look great, but we got a fresh set of Forgestar F14 19×8.5 for front and 19×10 Semi-Gloss Black wheels and wrapped these bad boys up with 245/34/19 in front and 275/40/19 in rear for better traction. With all the grip, it was time for a upgrade.. and upgraded we did! 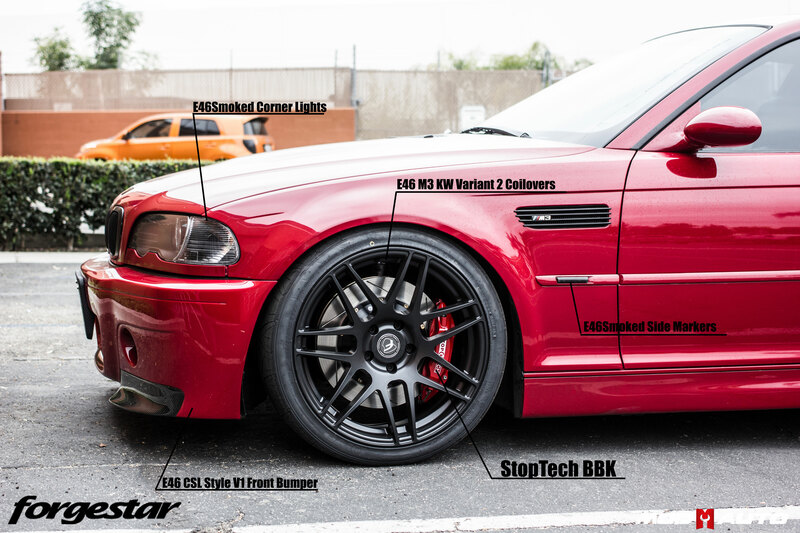 Customer wanted to upgrade to a StopTech Big Brake Kit for the E46 M3 in the front and rear of the vehicle. 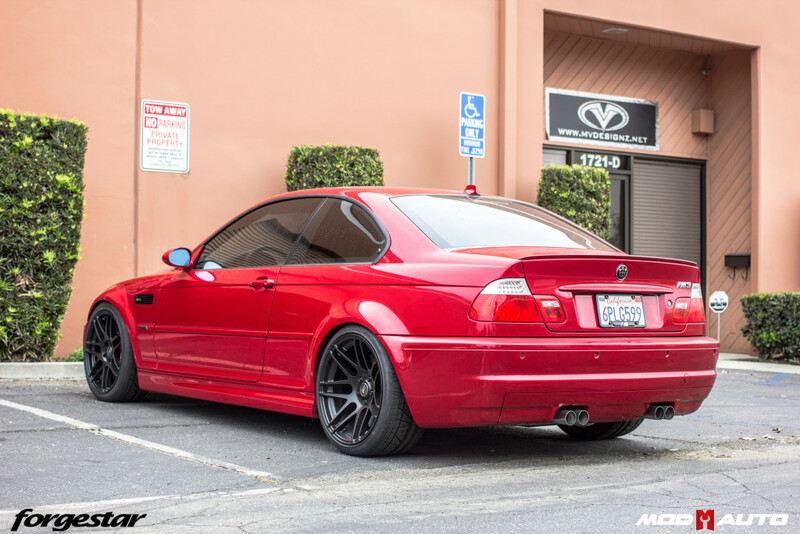 We can say that Fabian has a tastefully modified E46 M3 that is a daily beast, but also fun on weekends to throw around a track or spirited drive.